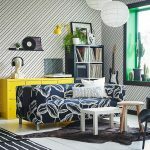 IKEA Qatar Blog » Lighting » Have you tried these super easy lighting hacks? Have you tried these super easy lighting hacks? We know decorating – or redecorating – your house generally means more focus on furniture, paints, curtains, the walls… But good interior lighting is as important as any other element. Lighting adds to the comfort and livability and, what’s more, it can change the mood and feel of the whole house. Bright lighting heightens your emotions and fills the area with a positive aura. On the other hand, closed spaces and dim light create a more cozy and laid-back mood. Of course, you can easily switch from one to the other – just play with lighting in different colors. Use warmer colors, such as light blue, warm yellow and shades of red, to enhance comfort and happiness, while unconventional colors like purple, pink and green help boost creativity and tantalize your senses. DIY is a hot craze right now and can help you discover your creative side without having to spend too much. Try your hand at these easy DIY lighting hacks with IKEA’s stunning range: Put tiny LED lights into glass containers. When connected, they create an ethereal effect, especially nice in the bedroom or the kids’ room. There are numerous ways to put bigger LED lights to use – try making different patterns like a Christmas tree, alphabets or a message. Go ahead and indulge! It shows off your personality and showcases your personal touch. Lighting can create the illusion of a bigger space if played right. Use long pendant lighting that hang from the ceiling to draw the eye up and down, emphasizing the room’s height rather than its width or length. Try our thin, tall floor lamps to help emphasize the vertical. For that classic look, invest in a beautiful chandelier to create a warm, pleasant atmosphere – but not one so elaborate or big that it’ll throw a huge shadow. Throw light on your photos! Give them a glow by directing a spotlight on them or putting small wall lights behind the frames. They’ll also provide a spot of light to the interiors, making the ambience more soothing and relaxed. 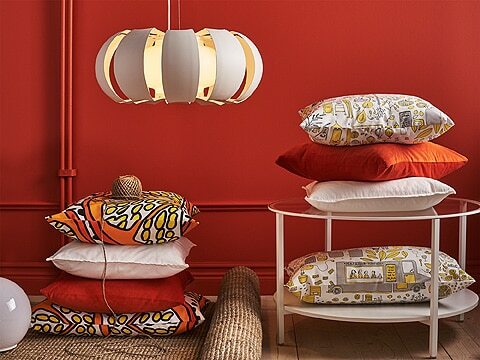 Open up any room by using multiple light sources: choose from IKEA’s inexhaustible collection, from floor lamps for corners to table lamps on sideboards. You can also place a mirror opposite a window or your wall lights to create the illusion of space.